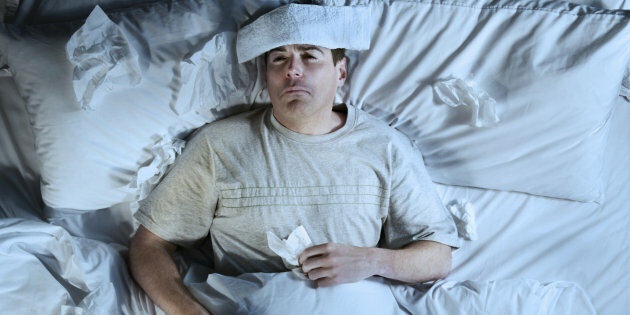 It’s that time of year again, the holidays have passed and the flu is making its rounds. This year make it one of your New Year’s resolutions to avoid the flu at all costs! Trust me, it’s nasty this year! It is seriously no joke. It’s currently affecting 43 states severely and 6 other states mildly. It appears that Hawaii is the only state that is being spared so far. The symptoms are usually fever, chills, cough and severe body aches. If you think having the flu is a joke, let me tell you that during the last week of 2014 over 600 people died from the flu. During the week of Christmas alone over 800 people died from the flu. So please give these recommendations the attention they deserve. On that note, here’s my top ten list for surviving the flu season. Keep your distance. This one is pretty obvious, but stay away from people who have the flu. I know there are times when it’s unavoidable — like when you have a sick family member — but keep it to a minimum if possible. For family members, consider having an isolated room where they can rest and recover without spreading germs throughout the house. Avoid community property. 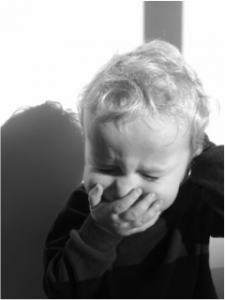 Any item that is shared by many is a germ magnet! So rather than using the bolted-down pen at the bank, this is the season to bring your own. Other germ magnets include phones, door knobs and anything else that comes into contact with lots of potentially infected hands. Track the influenza virus. Did you know they actually have sophisticated mathematical formulas to determine where the flu is headed and when it will hit your neck of the woods in full force? Some very smart scientists at Columbia University put together a tracking website that can help you to know which weeks you should be extra cautious … and maybe avoid too much time in crowded public places. Boost your immune system with a healthy diet. Fruits and vegetables that are rich in antioxidants are important for overall health. While a last-ditch effort to reign in your eating habits may not prevent illness altogether, it’s important to give your body all the nutrition it needs to support the extra work of fending off illnesses. Don’t forget physical activity. Save the lethargy for when you’re actually sick. In the meantime, experts at Medline Plus suggest that moderate daily exercise can help to both reduce your risk of getting sick and reduce the severity if you do catch the flu. For further reading, the folks at The New York Times discuss some interesting studies on the topic in a blog post titled Does Exercise Boost Immunity? Catch plenty of z’s. Multiple studies have shown a direct link between lack of sleep and illness. Constantly skimping on your sleep puts a strain on your immune system and increases your risk of catching the flu and other illnesses. For more in-depth reasoning behind this, check out WebMD’s article Can Better Sleep Mean Catching Fewer Colds? Viruses from The Huffington Post. Get the flu shot. I can’t say it often enough, THE FLU SHOT SAVES LIVES! 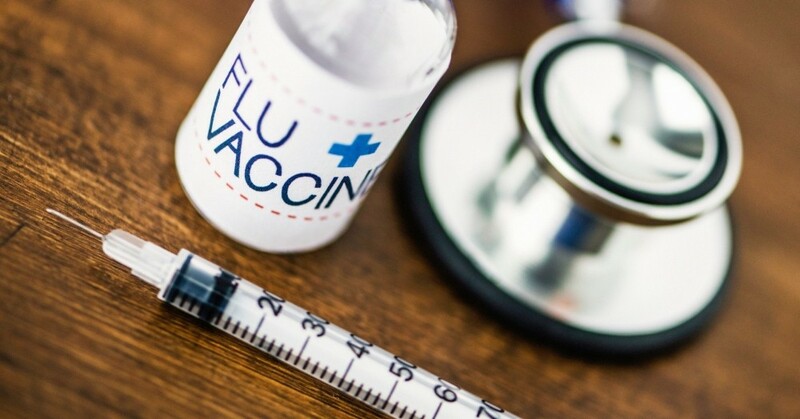 Even in years when the vaccine is not a perfect match it still provides some level of protection and can help to reduce the severity of the illness if you do get sick. Plus, in any given year several strains of the flu can circulate and evolve. 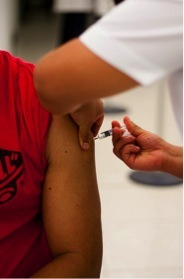 The flu shot is likely to cover at least some of those strains. You can read more on this topic at ABCNews.com. Wash your hands frequently. That’s basic hygiene year-round but it’s especially important this time of year… especially after coming into contact with other people or objects that have been handled by others. On that same note…. Keep your hands away from your face! Your eyes, nose and mouth are a direct conduit to illness. Keep the germs out by never touching your face except after washing your hands… and then make sure to wash them again. Last but not least, if you do get sick, please please PLEASE DON’T SHARE THE LOVE. If you get sick, do your coworkers, neighbors and the general public a favor and just stay home.